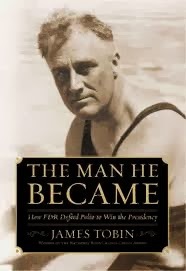 James Tobin is the author of the new book The Man He Became: How FDR Defied Polio to Win the Presidency. 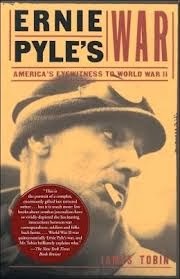 His other books for adults include To Conquer the Air and Ernie Pyle's War. He also has written books for children, including The Very Inappropriate Word. 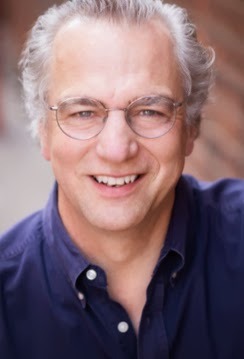 He was a reporter for The Detroit News for 12 years, and he teaches in the Department of Media, Journalism, and Film at Miami of Ohio. Q: How did you get interested in this topic? A: I grew up in a house dominated by my grandmother, a matriarchal New Dealer who adored FDR. I always remembered her telling me the story of FDR at the 1924 Democratic convention, crossing the stage to give his speech. The image came back to me as I was looking for a new book topic. 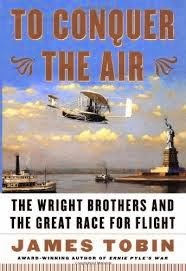 My previous book had been about the Wright brothers, and I enjoyed writing about the dynamics of a family, the Wright family. I also had some experience as a medical writer. And I was inspired by David McCullough’s Mornings on Horseback, which looked at asthma in the life of Theodore Roosevelt. I wondered, has anyone done a good narrative job on FDR and polio? Q: Your view of how much Americans of the time knew about FDR’s disability differs from that of some other scholars. How did you come to your point of view about it? A: It started with my memory of being a kid in the ‘60s. We in the generation after World War II were well aware of FDR having polio. This idea that became prevalent in the ‘90s—that FDR had engaged in an elaborate deception to cover up the fact that he was disabled—I was just sure that was wrong. And the evidence bears that out. How so many people came to have the wrong idea is still rather mysterious to me. Hugh Gallagher’s book (FDR’s Splendid Deception), despite its title, does not argue that there was a massive coverup or deception; it’s much more subtle. When Gallagher went on TV to talk about it, the debate became oversimplified. And with the debate over the FDR memorial in the ‘90s, it became even more so. It’s a case of the public deceiving itself about a fairly important historical topic. Q: What type of research did you do to write the book? A: I did a great deal of primary research in the manuscript materials at the FDR library. I found a fair amount of material in certain important memoirs and oral histories—Frances Perkins’s oral history was the most important of those. I read quite a bit of medical literature about polio and about the psychological response to trauma and disability. Newspaper coverage was the frosting on the cake. As a former journalist, I trust newspaper reporting more than most historians do. I looked at a lot of photographs too. Q: What surprised you most? A: I was surprised by how FDR insisted from the very beginning that he was going to get completely better—at the same time that his doctors’ private correspondence was saying that was extremely unlikely. So I knew how bad it was, yet he was telling everyone he knew that he was going to make a splendid comeback. I concluded that he was talking himself into that point of view, flying in the face of what seemed like obvious reality. It was sheer denial, which can be a powerful force for good. Q: You argue that FDR would not have been as successful, perhaps not even have become president, without having had polio. Why is that? A: There are two main things. The first is primarily practical. Polio kept him on the sidelines during the warfare waged inside the Democratic party in the mid-1920s. FDR was allied with Al Smith in those years, but because of polio he couldn’t run for office himself, so he escaped that fight. Second, polio gave FDR a story to tell and a new political identity. Before, he had been seen as a golden boy with the most popular name in American politics—charming, yes, but an aristocrat who hadn’t had to work for anything. After polio, his message was: I was struck down by adversity, and came back. It made him a much more sympathetic character, especially when so many Americans in the early ‘30s were going through such terrible hardship themselves. A crippled man was distinctly in tune with the times. A: I haven’t started a big new book project, but I’m working on a children’s picture book now. A: With a book like this, people tend to talk about the book’s analyses and arguments. But I consider myself less an analytic historian than a storytelling historian. I’m trying to create an absorbing narrative. I know the academic history side, but I think the narrative history is equally important, and that academic historians have lost the common touch with readers. I’m trying to establish points of contact—emotional contact—between readers and the past. That’s what I hope this book does.